The RGB Component Video format is found widely in Home Cinema set ups, DVD players, and games consoles. 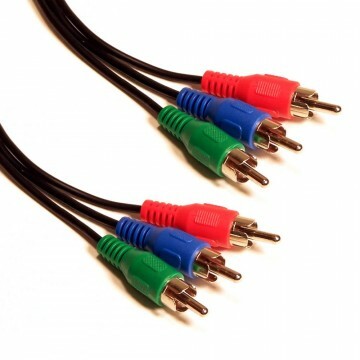 It uses an analog signal split into 3 channels, Red, Blue, and Green, to carry the Y-PB-PR signal to your TV or projector over three RCA connections. At it's highest end, the component video connection is capable of 720p HD video, usually seen with the X-Box 360.